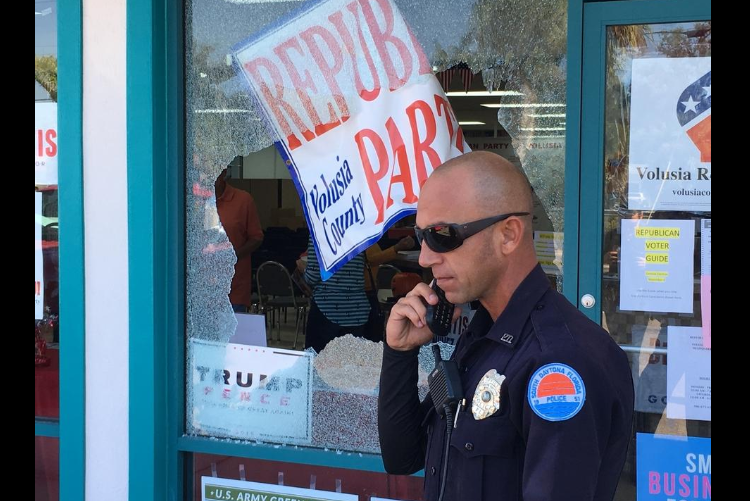 Police in South Daytona Florida are investigating after someone fired four bullets through the windows of the Volusia County Republican Headquarters, according to local ABC affiliate WFTV9. Nobody was injured in the incident. Shattered glass and fallen campaign posters littered the sidewalk outside Republican party headquarters. Inside, volunteers pointed to bullet holes in the walls and ceiling. 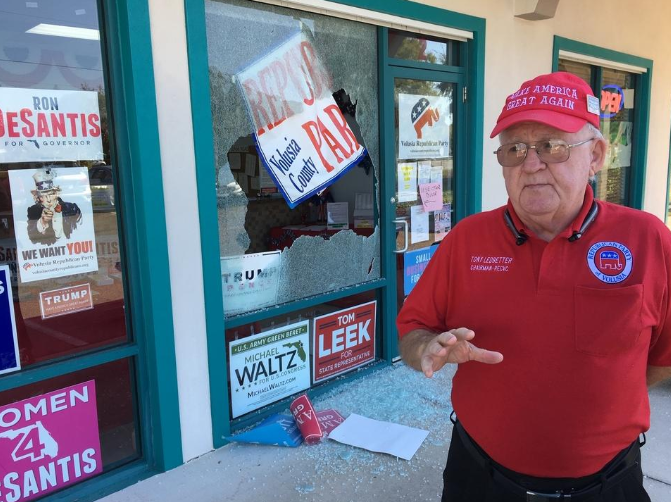 Ledbetter tells the News-Journal that he was the last person to leave the GOP headquarters on Sunday at 4 p.m., while employees at nearby businesses - including an e-cigarette store, a restaurant and a massage parlor had closed by 10 p.m. Nobody heard the shots fired. South Daytona police captain Mark Cheatham said "We are working to see if we can get video from nearby businesses but so far we have no witnesses." The shooting follows a spate of suspected explosive devices sent from a South Florida man to several prominent Democrats, as well as the Saturday massacre at a Pittsburgh synagogue in which eleven people were killed and six injured including police officers.